It was a true game-changer, a film so upsetting in its blunt depiction of an amoral murderer that it made the slasher films of its time look like cartoons by comparison. HENRY: PORTRAIT OF A SERIAL KILLER became a lightning rod in heated debates about cinema and censorship but has only grown in stature since its first showing in 1986. Now, on the 30th anniversary of its momentous debut, it returns in a 4K restoration on digital platforms and blu-ray on DECEMBER 6th, following a nationwide theatrical release. 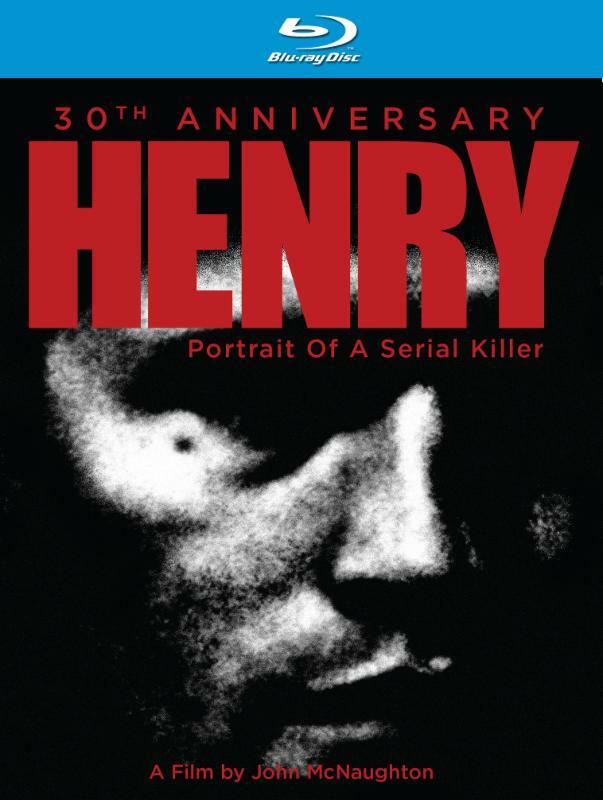 HENRY: PORTRAIT OF A SERIAL KILLER is a chilling profile of a cold-blooded killer that, 30 years after its historic festival premiere, has lost none of its power to shock. The film, loosely based on a true story, has been hailed as one of the most disturbing and terrifying examinations of mass murderers ever filmed. Henry (Michael Rooker, The Walking Dead) is a psychopathic drifter who has coldly murdered a number of people for no particular reason and without any remorse. Leaving bodies in his wake, Henry makes his way to Chicago, where his he settles into the run-down apartment of his drug-dealing former prison friend and occasional roommate Otis (Tom Towles). Also moving into the space is Otis’s younger sister Becky (Tracy Arnold), who is fleeing her abusive husband. As she fends off her brother’s incestuous advances, Becky finds herself attracted to Henry – unaware that he, along with Otis, are continuing their murderous rampage. Director John McNaughton completed the film in 1986, and it was shown at that year’s Chicago International Film Festival. But it wasn’t until 1990 that a U.S. distributor was brave enough to give it a wide release. Henry predates the NC-17 rating and received its predecessor, the X rating, on three separate occasions. As a result of it and related issues with Almodovar’s “Tie Me Up, Tie Me Down,” Phillip Kaufman’s “Henry & June” and Peter Greenaway’s “the Cook, the Thief, His Wife and Her Lover,” the MPAA created the NC-17 as its replacement on 9/26/1990. Henry’s current rating is “X (Surrendered)” though a renewed rating is pending. The film’s violence, and the clinical, detached portrayal of Henry by the unforgettable Michael Rooker, originally earned it the MPAA’s highly restrictive NC-17 rating. In celebration of its 30th anniversary, HENRY: PORTRAIT OF A SERIAL KILLER returns with a thrilling, cinematic presentation that cements its reputation as one of the most harrowing and original American films of all time. Dark Sky Films, a division of MPI Media Group, proudly presents it in a brand-new 4K scan and restoration from the 16mm original camera negatives, and featuring a new 5.1 audio mix from the stereo 35mm mag reels, all approved by director John McNaughton. Dark Sky Films is an independent film production and distribution label founded in 2008, working with emerging talent as well as established veterans to develop, package, produce and finance feature film and episodic television projects. Representing films from some of the most talented directors working today, such as Ti West‘s The House of the Devil and The Innkeepers, and Jim Mickle‘s Stake Land, Dark Sky continues to identify original talent and projects to bring a vibrant slate of films to the world market, with such recent releases and productions such as We Are Still Here, Deathgasm, Applesauce and Emelie.